This entry was posted in Pearl of the Adriatic, Recommendations and tagged Cavtat, City Wall, Croatia & EU, Dubrovnik, Dubrovniklady, Euro, European travel, European Union by Cavtatlady. Bookmark the permalink. Reblogged this on Croatia; the Mediterranean as it once was. Hi! you`re welcome:) Keep posting! Brava Croatia ora sei dei nostri ! 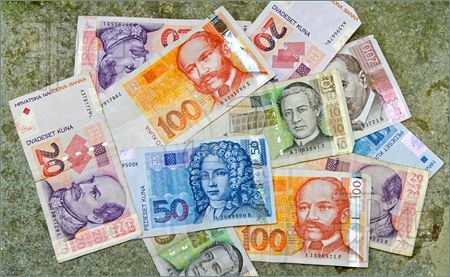 Thanks for the currency post – will share on our facebook page for Korcula/Croatia visitors. Thank you. I do not participate on FB as I believe they are not nice. I’m a late comer on this. When I went to Dubrovnik 3 years ago, I went to my bank here in the US and ordered kuna prior to departure. (There was a fee to get it though) The money came within a few business days. Good thing I did since not everyone accepted credit cards! It is best to use our many ATM machines here for Croatian Kuna. I continue to use my California bank and have found the machines always give me the very best exchange rate. James, there are three subjects which I do not feel qualified to discuss online, the war, politics and the EU. When you visit again, we will sit down over a glass of wine and chat. Any updates as of this year? Or is it still the Kuna?